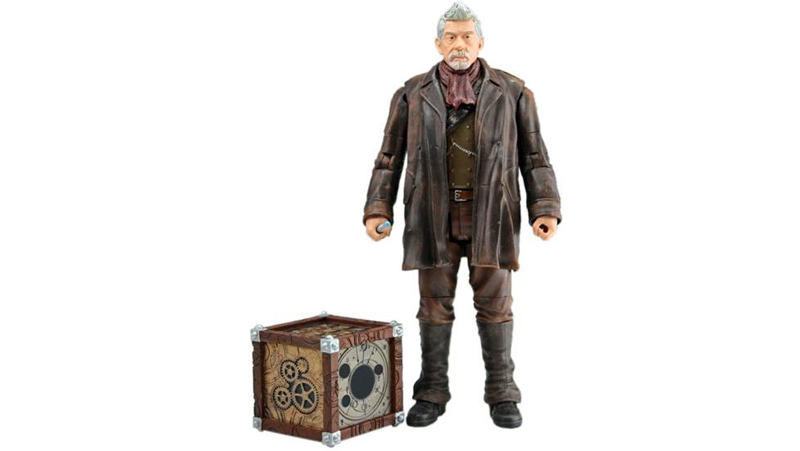 Now John Hurt is a 'real' Doctor - He's getting his own action figure! They say you're not really The Doctor until you've faced The Daleks - But since he's already done that, I think this is the next best thing. A JOHN HURT ACTION FIGURE! Unfortunately, whilst it doesn't come with a built-in 'disparage future regenerations' action, The 'Other Doctor' action figure - which is in 5-inch scale, unlike the recent 3.75" NuWho range - comes with a sonic screwdriver accessory, The Moment... and an alternate Paul McGann head. 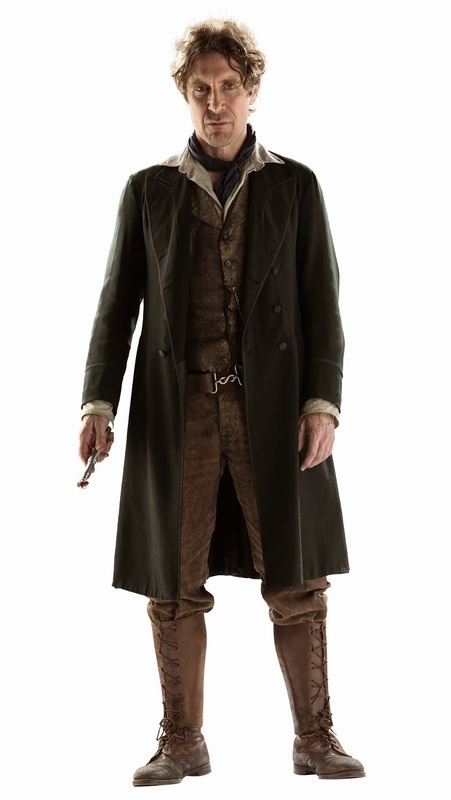 Let's ignore, for the moment, the fact that A) Paul McGann's head on John Hurt's body looks really weird, B) We never saw the Eighth Doctor in this outfit and C) It looks slightly more like Dark Eyes-era Eight than it does Night of The Doctor-era Eight, and rejoice in the fact that maybe, just maybe, that some time in the near future we could be seeing a Dark Eyes or Night of The Doctor version of The Eighth Doctor in action figure form that uses this head sculpt. 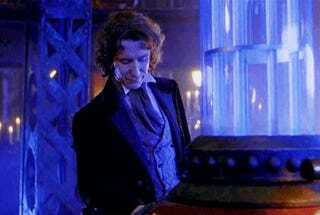 And how wonderful is that? Very wonderful. I would buy either of these. Twice. More than twice. 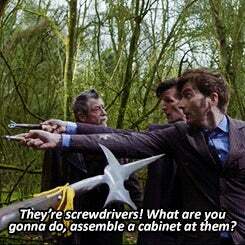 I'd build myself an army of little McGanns! Just don't forget - it's not for pointing.